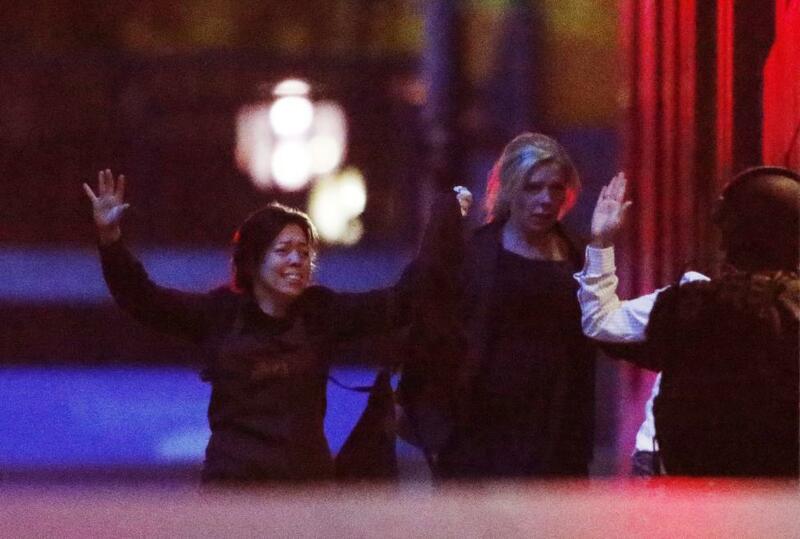 Media said that two people, including the gunman, had been killed. 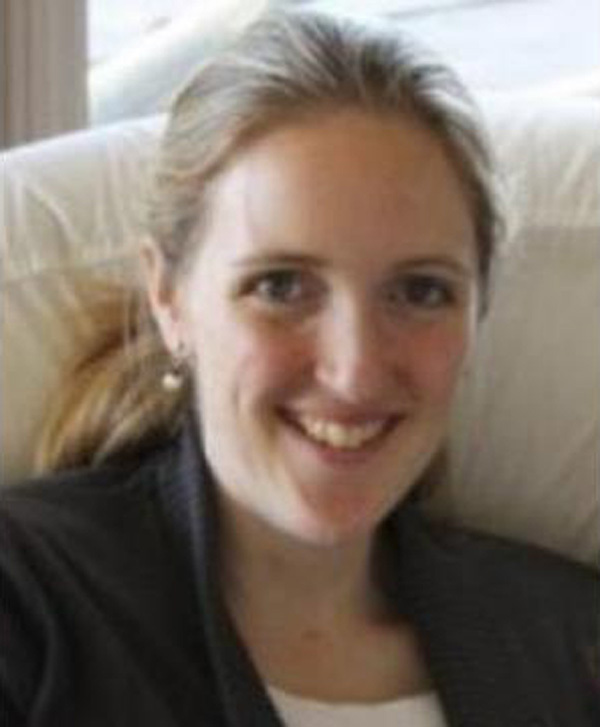 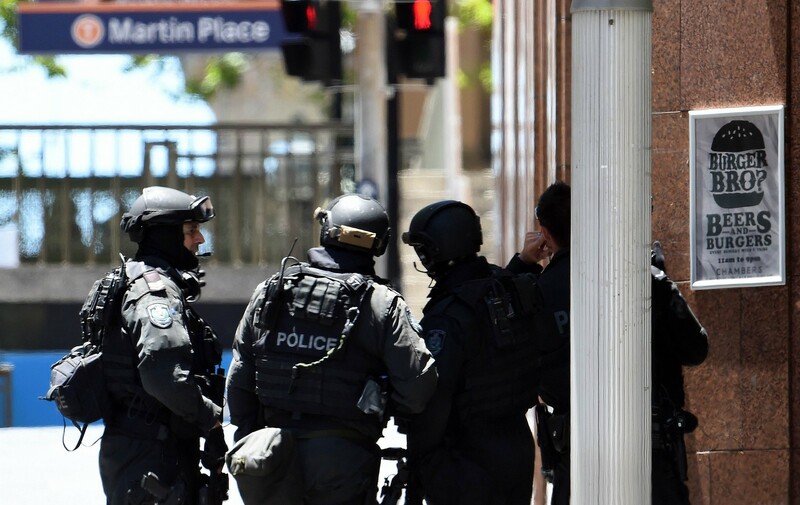 New South Wales police declined to comment on the reports, and it was not clear whether the fatalities occurred during the rescue operation itself. 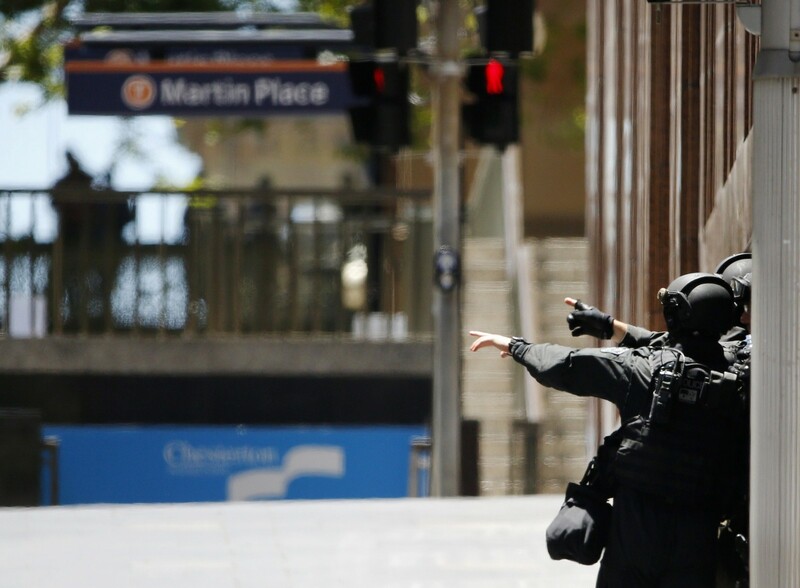 Heavy gunfire and loud bangs from stun grenades filled the air shortly after 2 a.m. local time (10a.m. 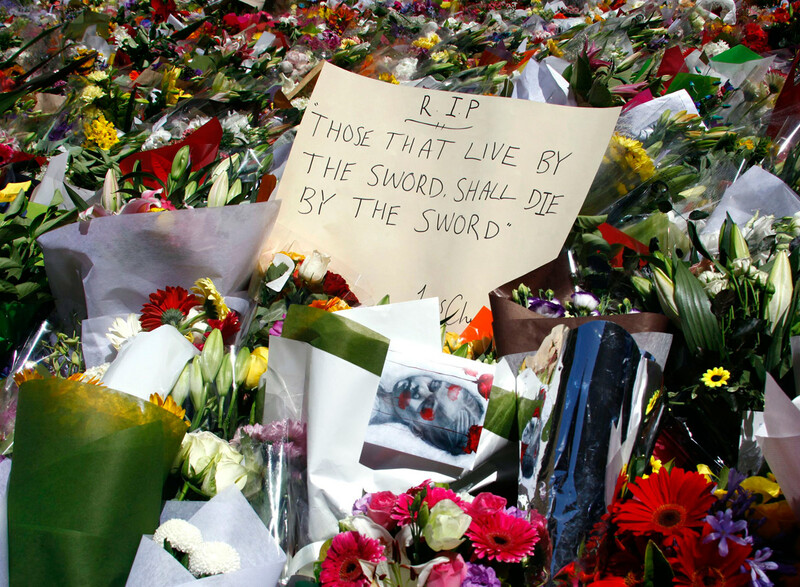 ET on Monday). 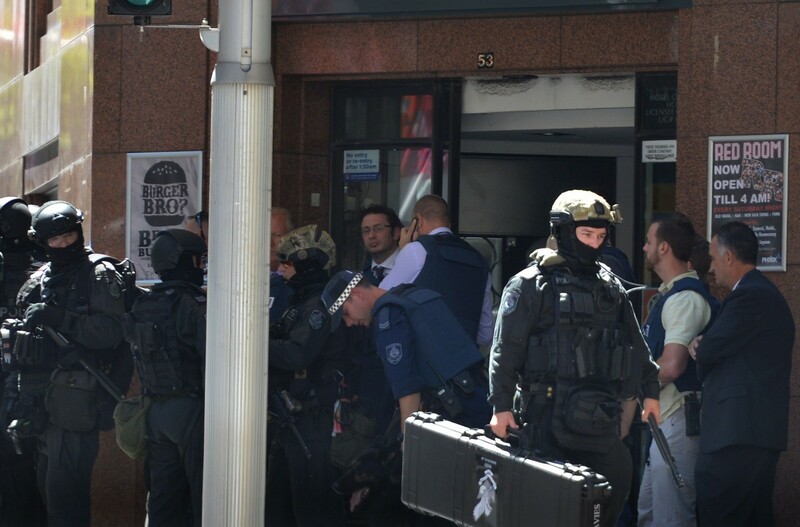 Moments earlier at least six people believed to have been held captive managed to flee the scene after several loud bangs were heard coming from the cafe. 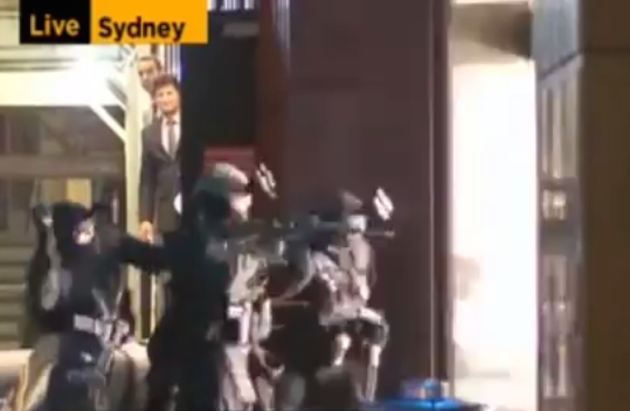 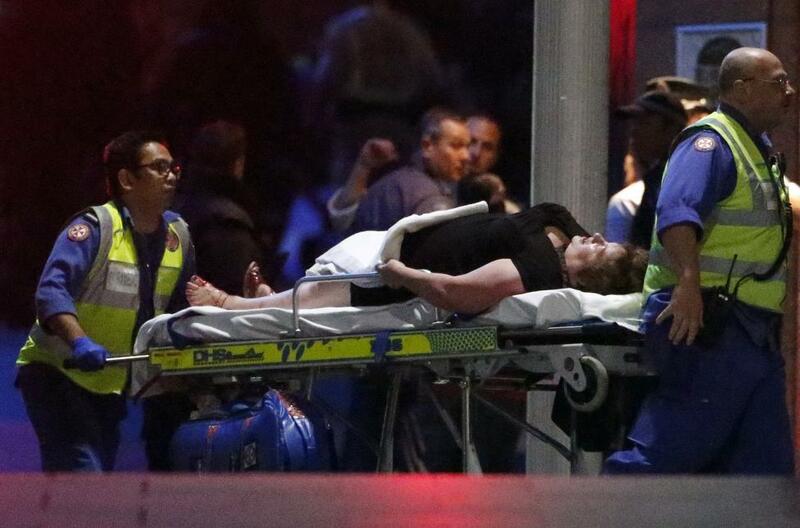 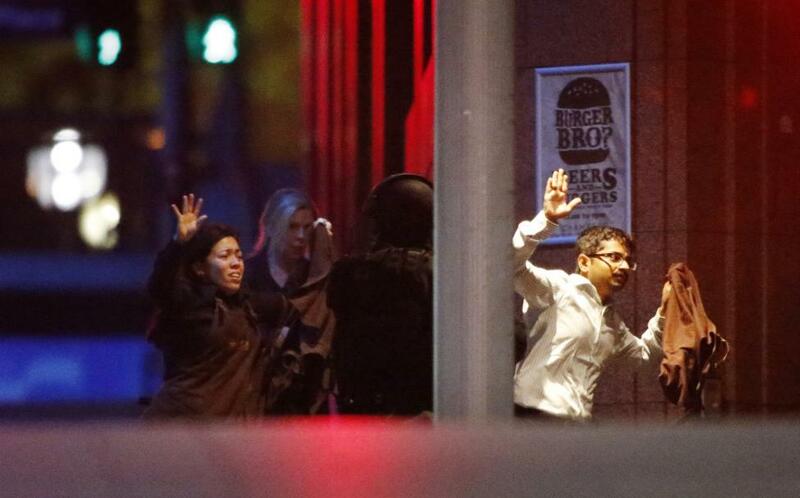 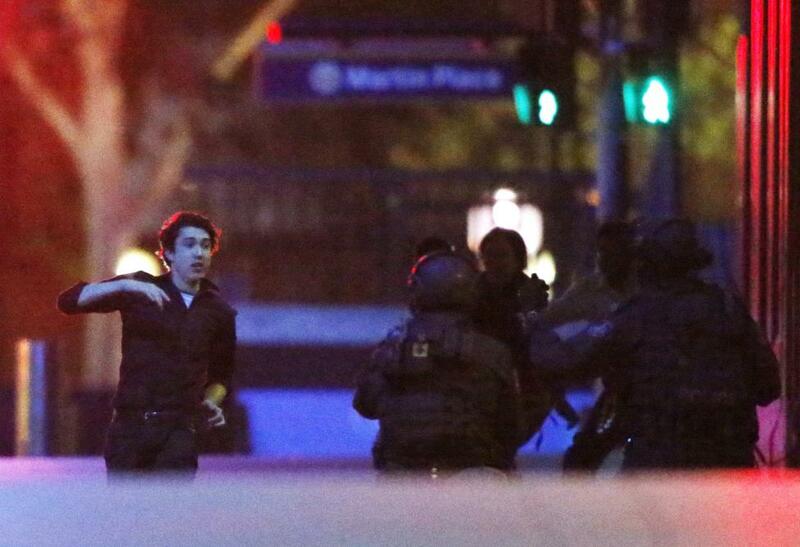 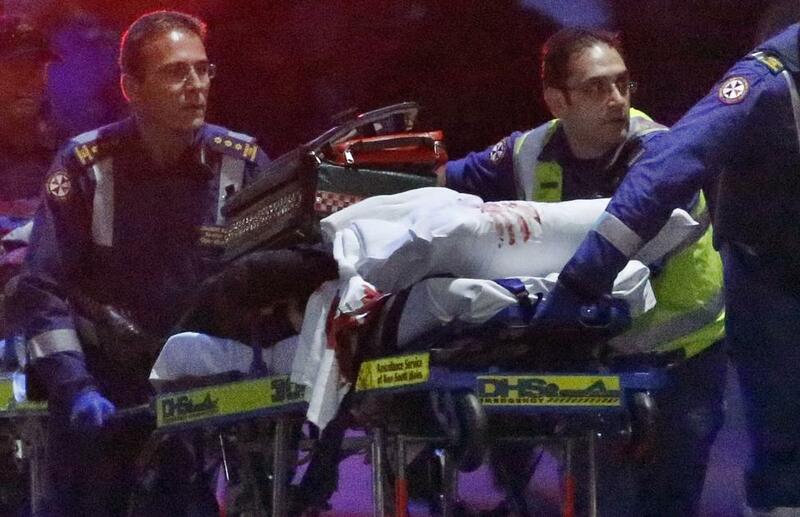 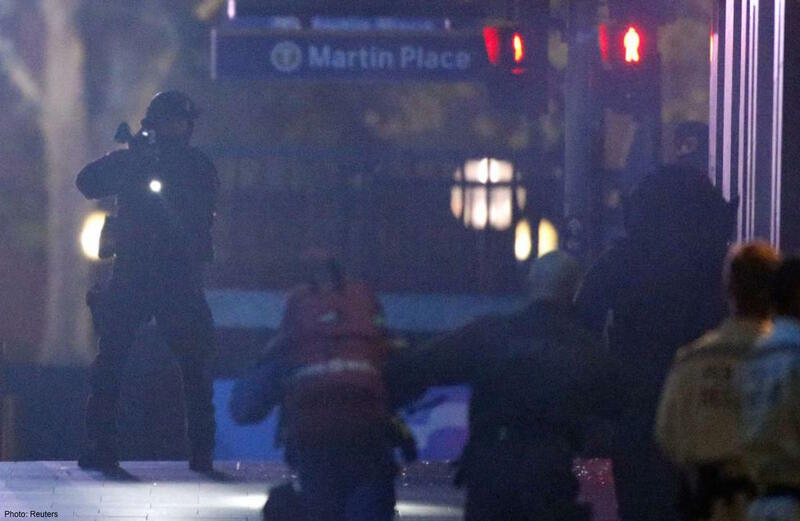 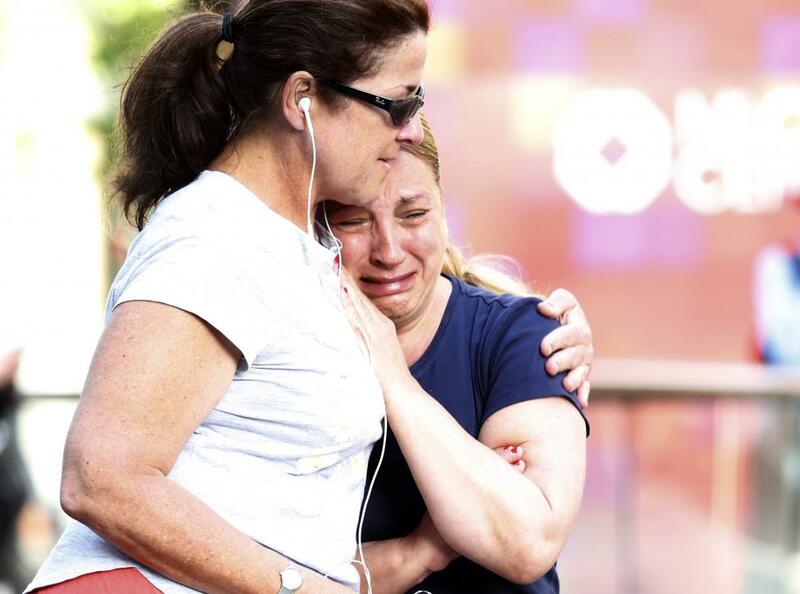 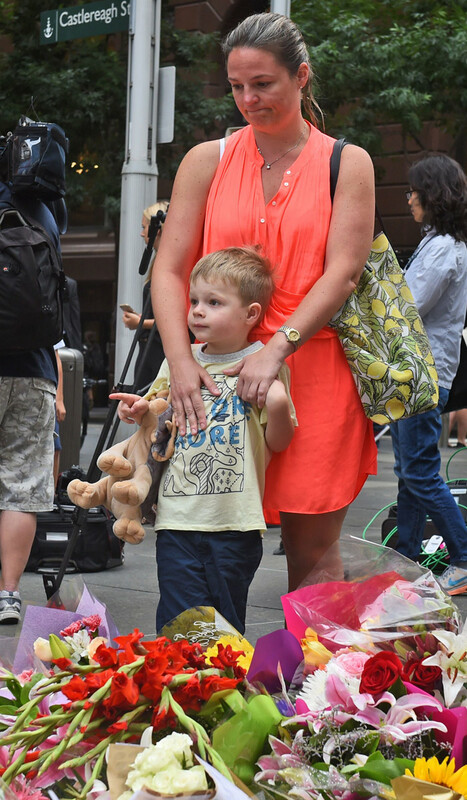 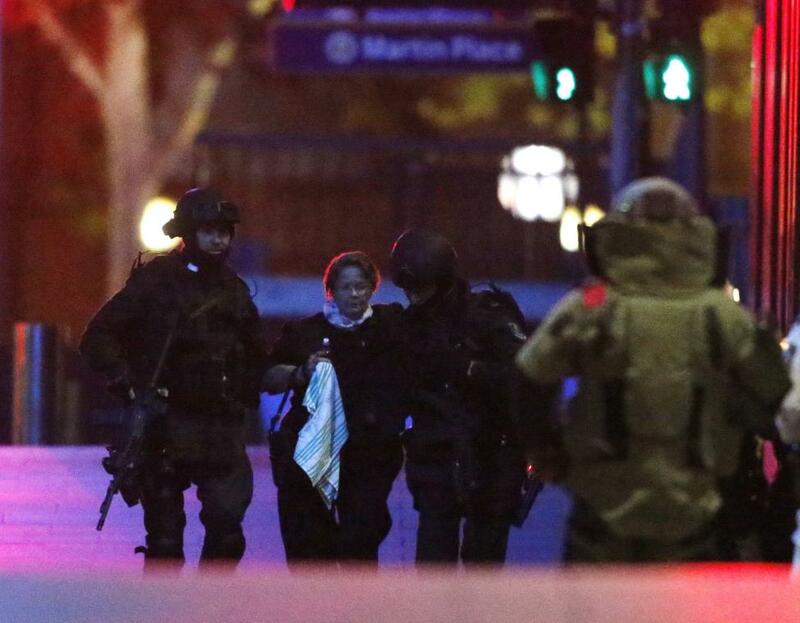 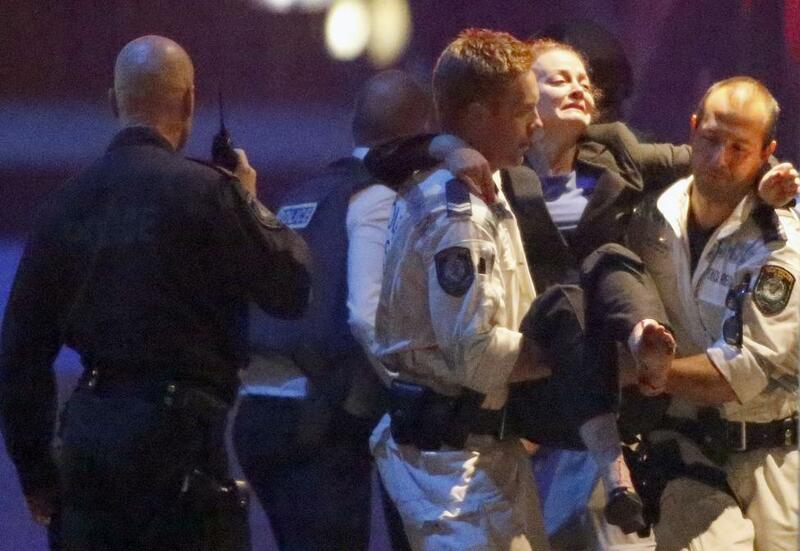 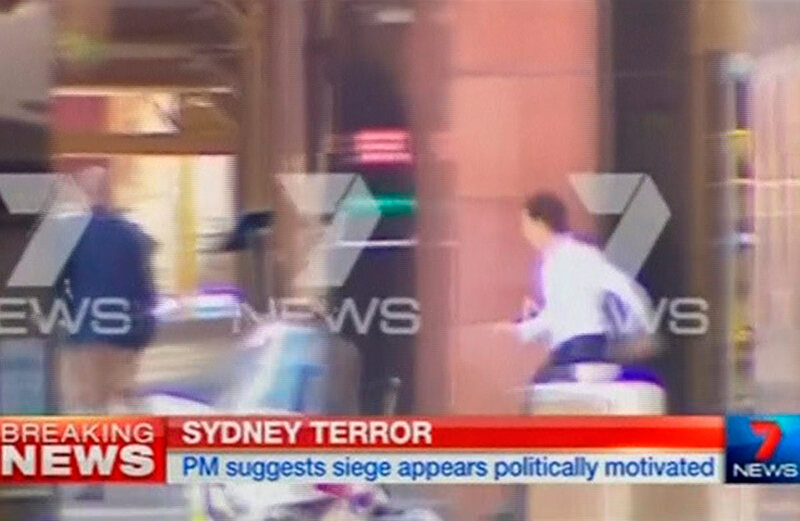 Medics were seen trying to resuscitate one person after the raid and took away several injured people on stretchers, said a Reuters witness at the scene in downtown Sydney. 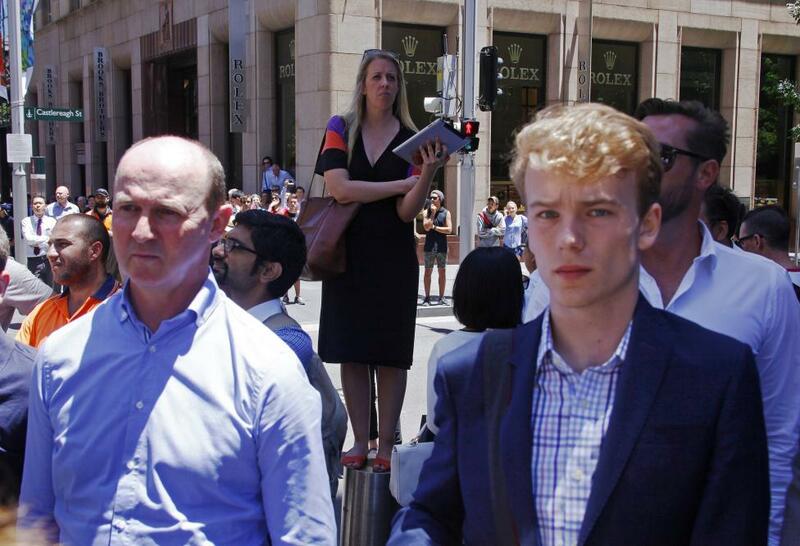 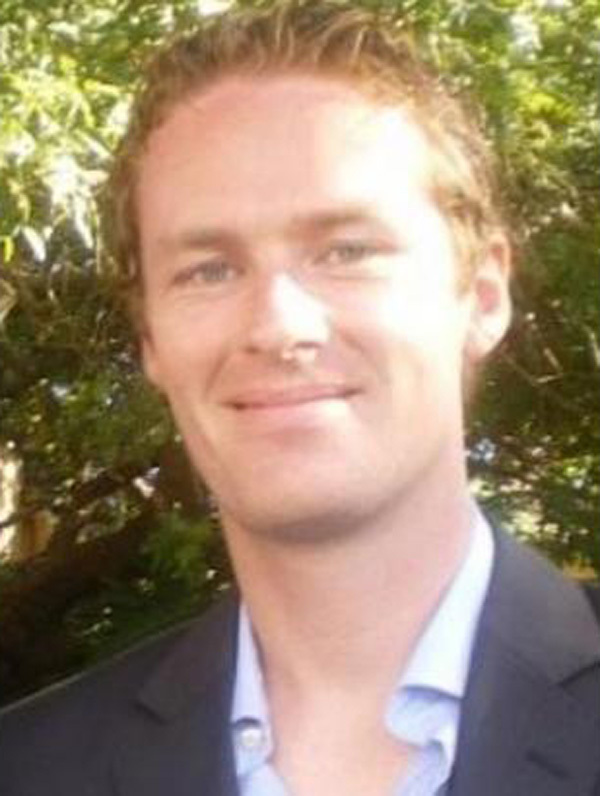 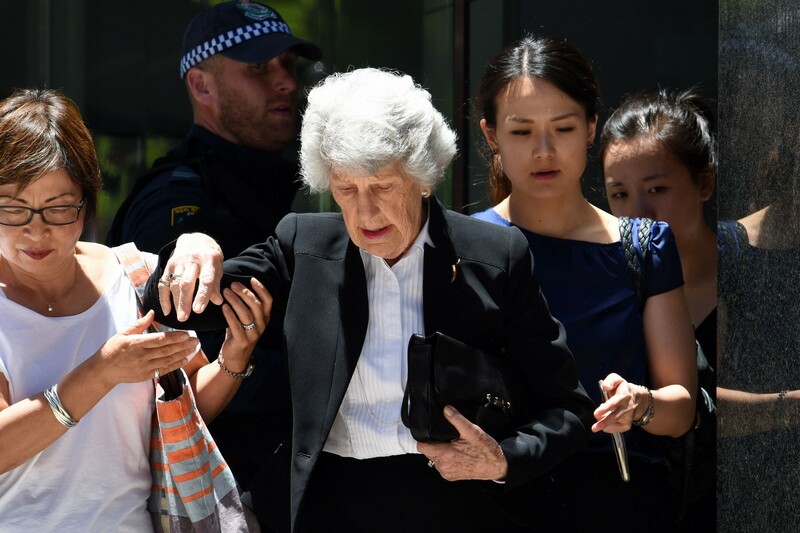 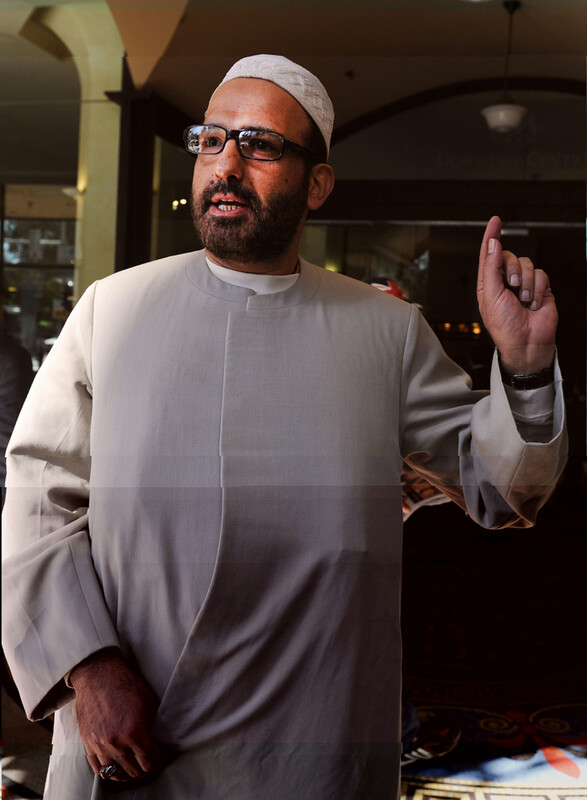 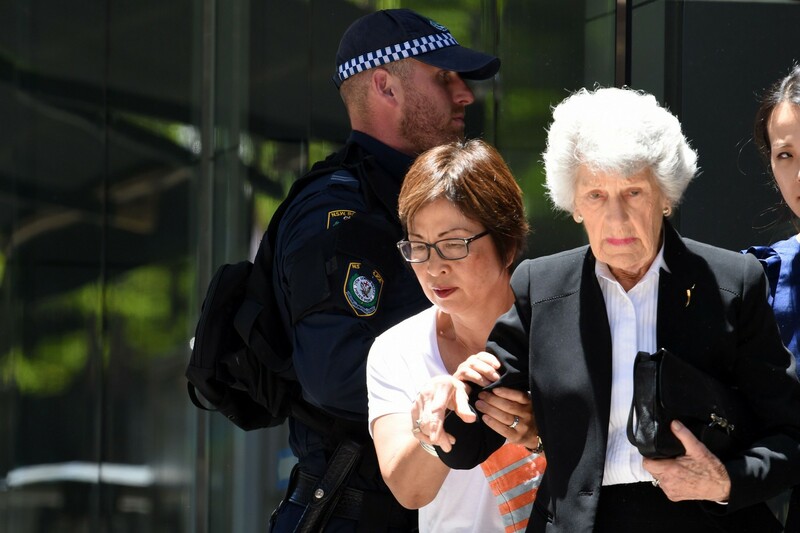 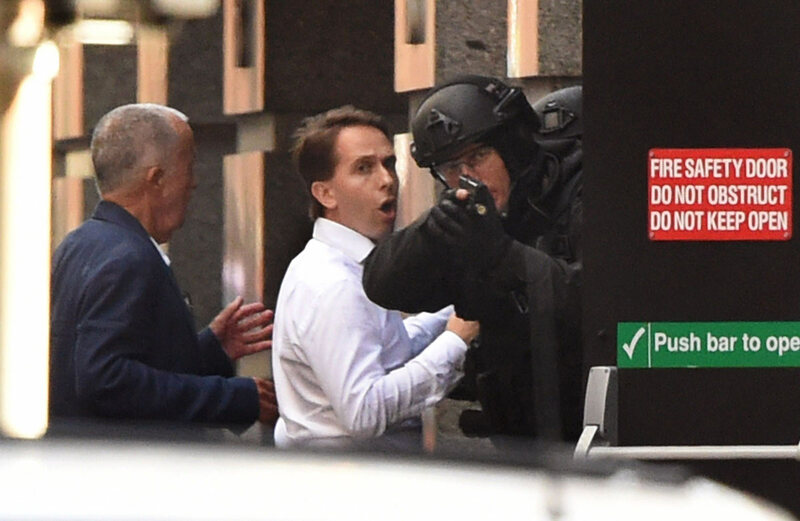 He was also found guilty in 2012 of sending offensive and threatening letters to families of eight Australian soldiers killed in Afghanistan, as a protest against Australia's involvement in the conflict, according to local media reports. 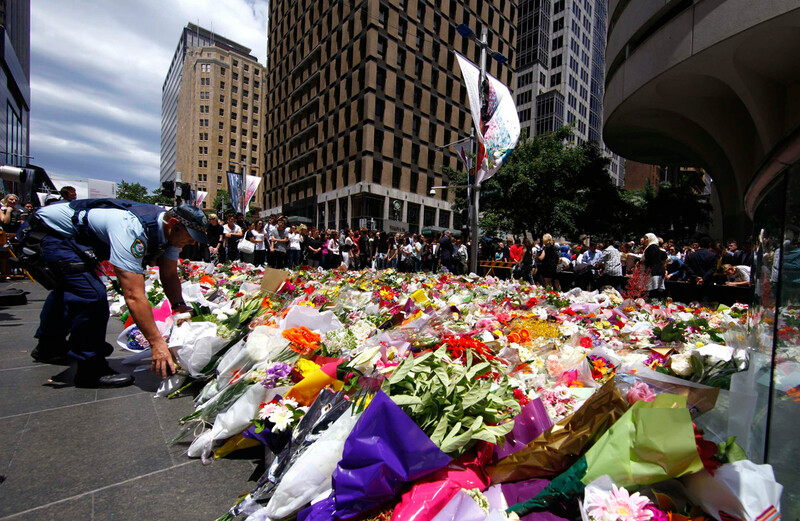 Although he was well known to the authorities, security experts said preventing attacks by people acting alone could still be difficult. 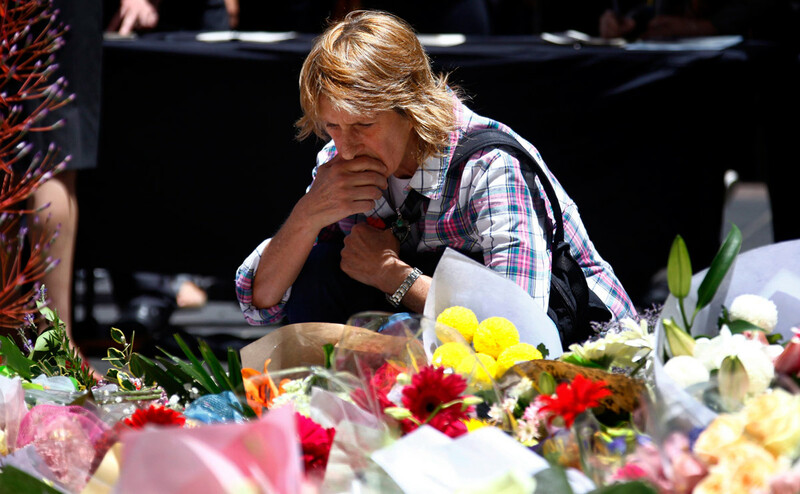 "The second is ISIS sympathizers radicalized on the internet who take it upon themselves to commit terrorist attacks to fulfil their radical ideology. 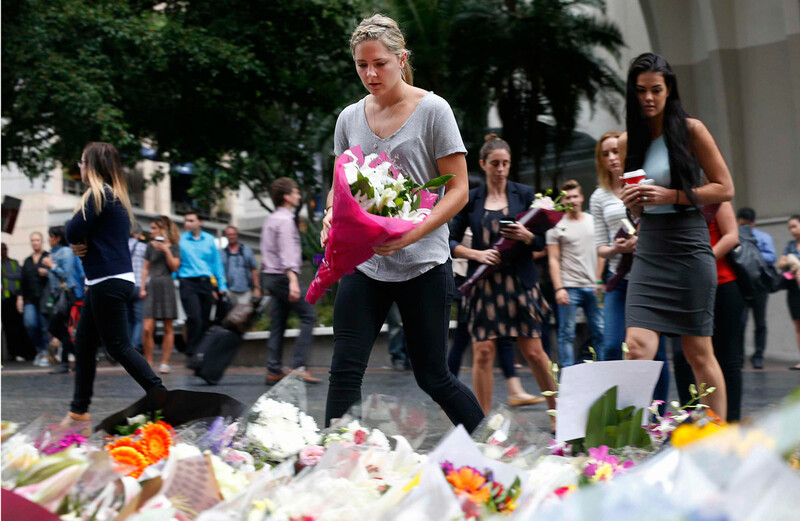 "We are entering a new phase of terrorism that is far more dangerous, and more difficult to defeat, than al Qaeda ever was." 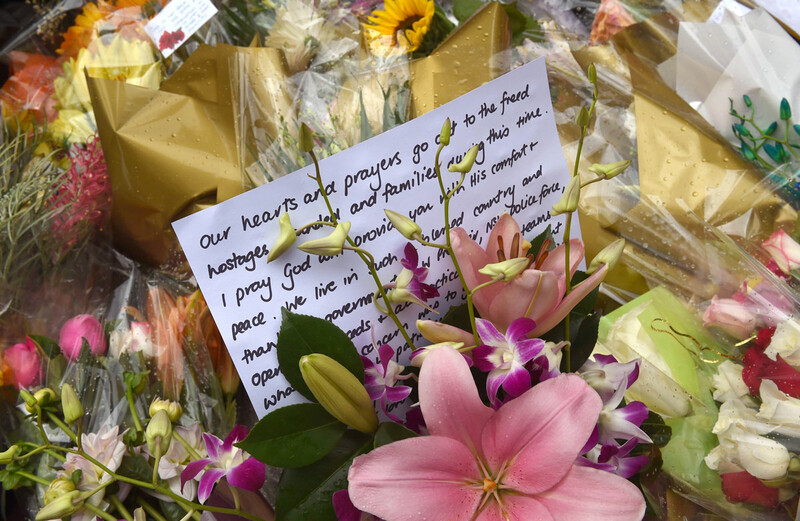 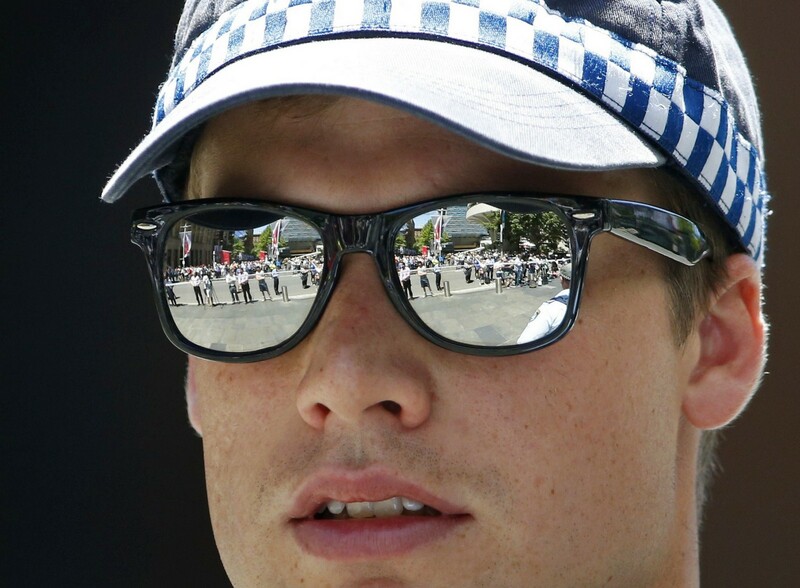 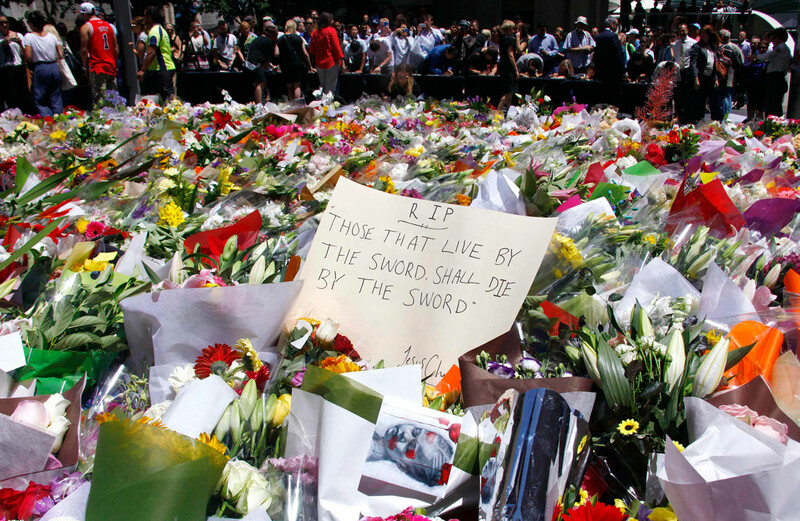 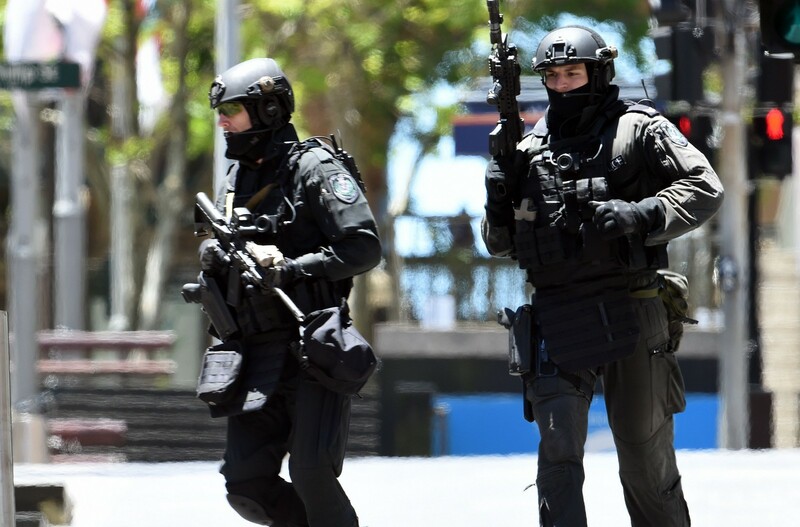 Australia, a staunch ally of the United States and its escalating action against Islamic State in Syria and Iraq, is on high alert for attacks by home-grown militants returning from fighting in the Middle East. 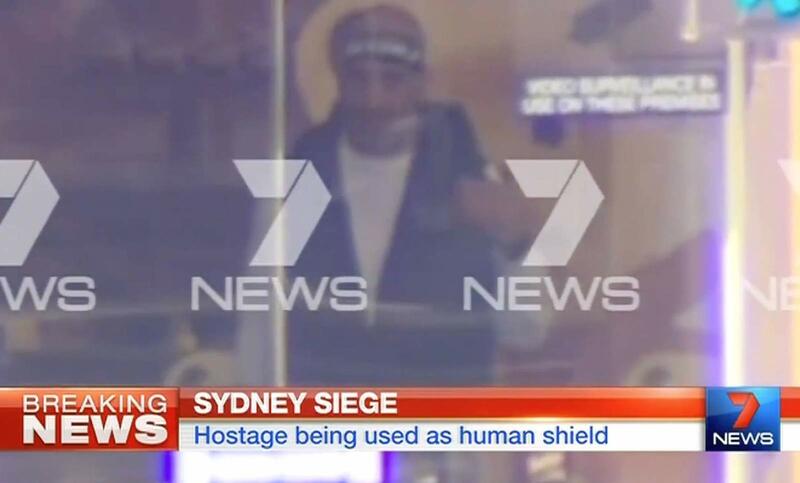 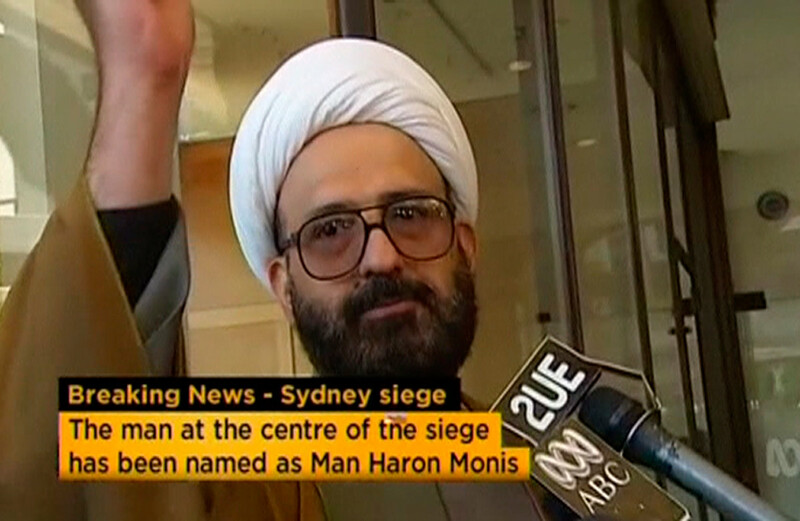 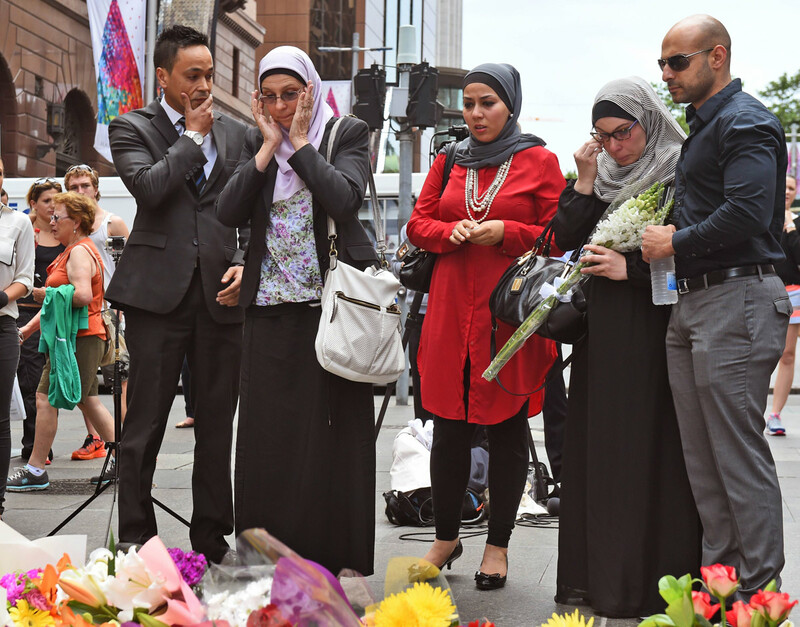 News footage showed hostages holding up a black and white flag displaying the Shahada - a testament to the faith of Muslims. 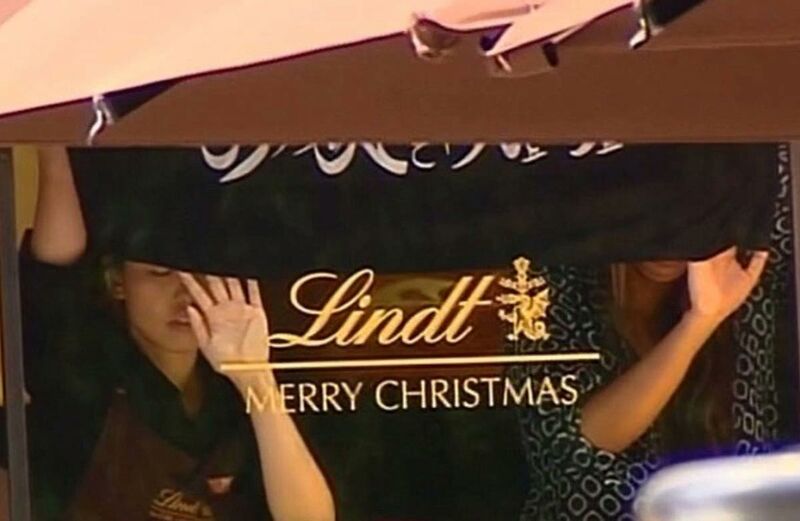 The flag has been popular among Sunni Islamist militant groups such as Islamic State and al Qaeda. 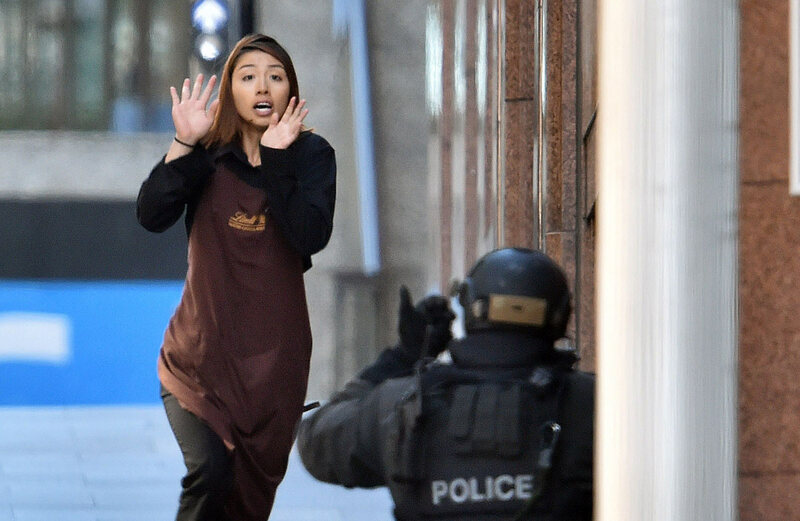 At least five hostages were released or escaped on Monday, with terrified cafe workers and customers running into the arms of paramilitary police. 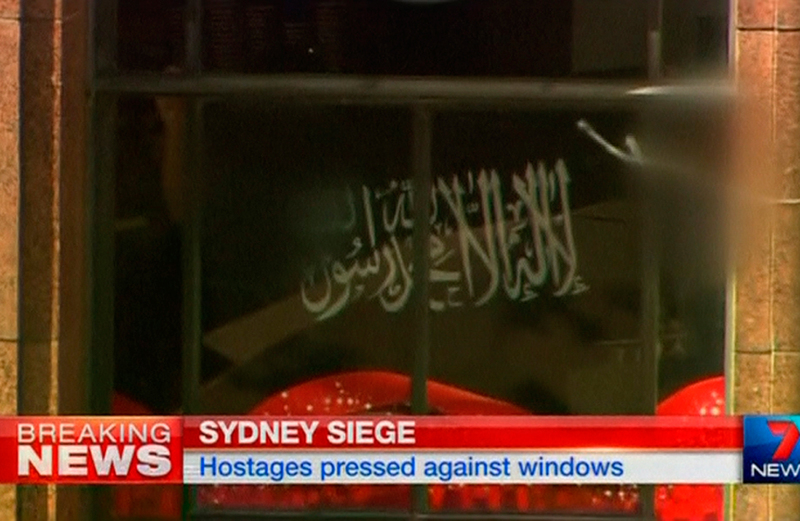 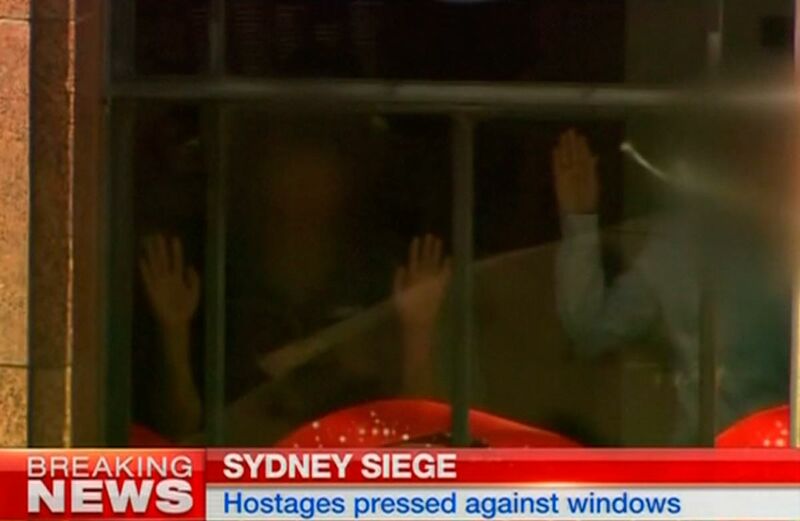 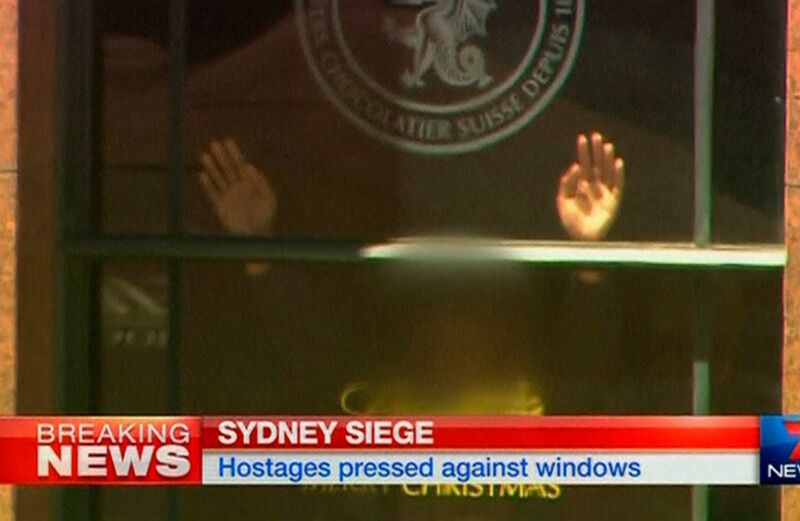 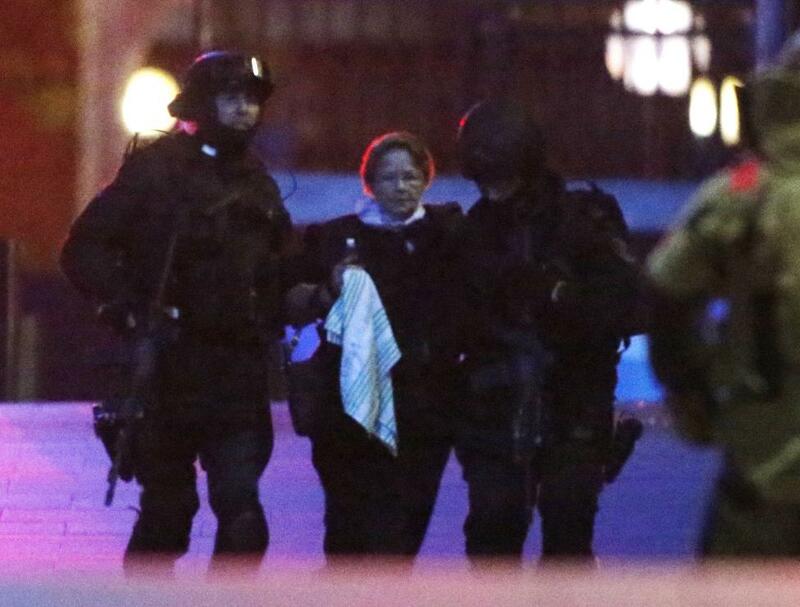 A further 15 or so hostages were understood to have been holed up inside the cafe. 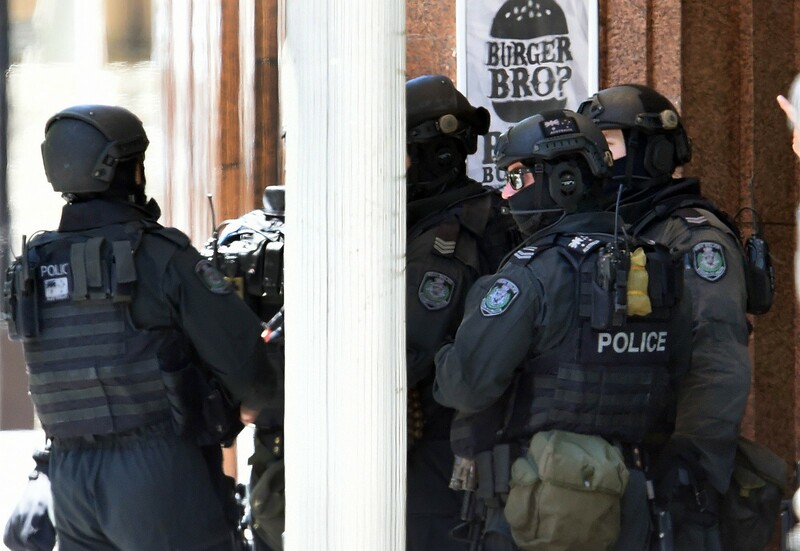 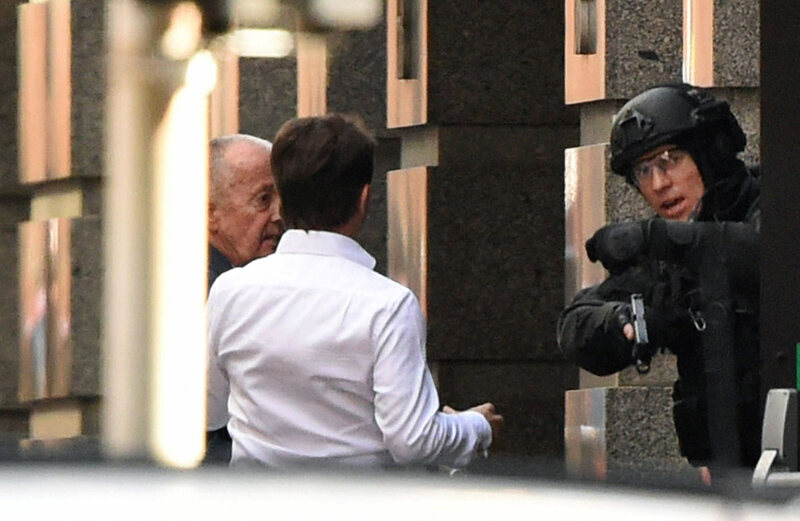 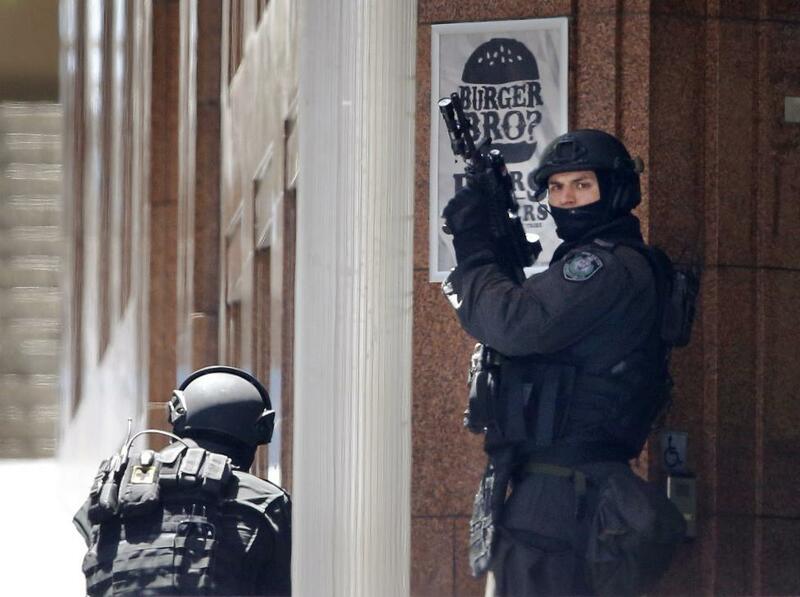 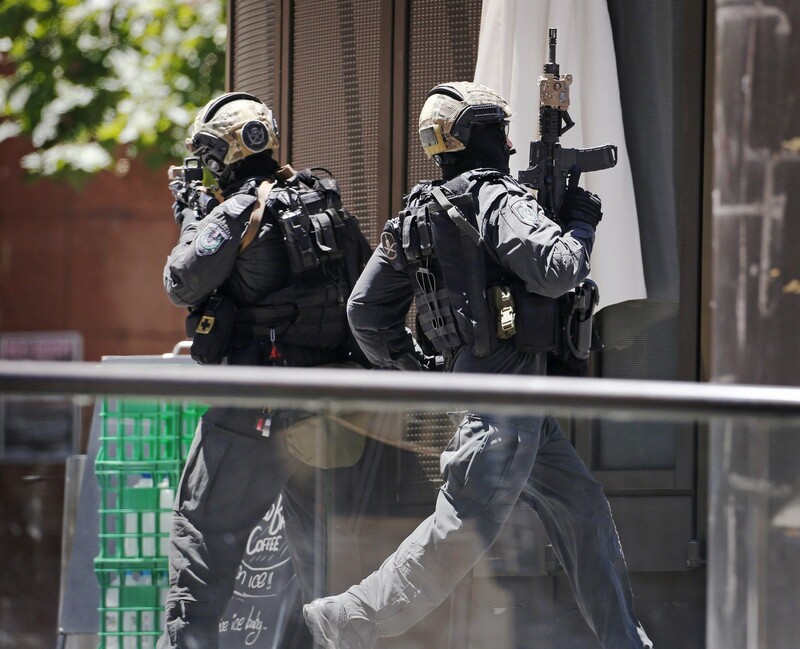 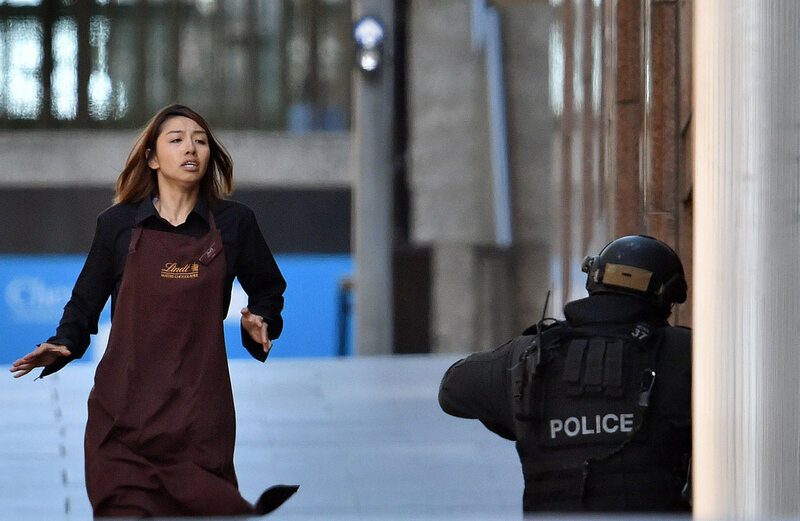 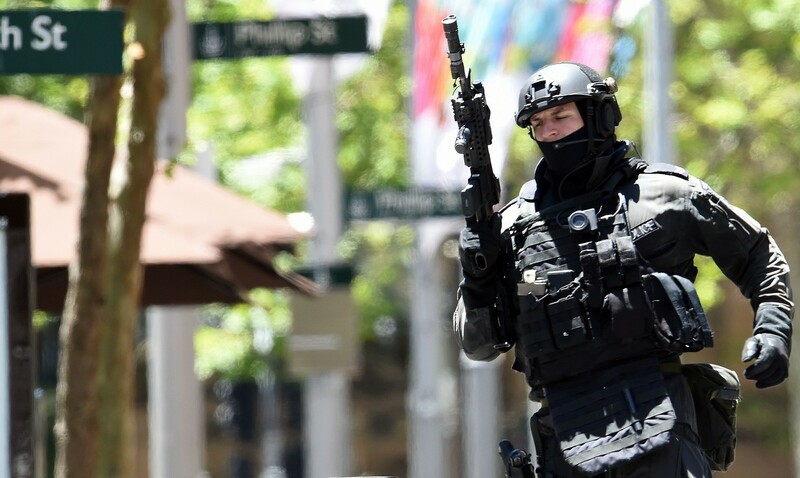 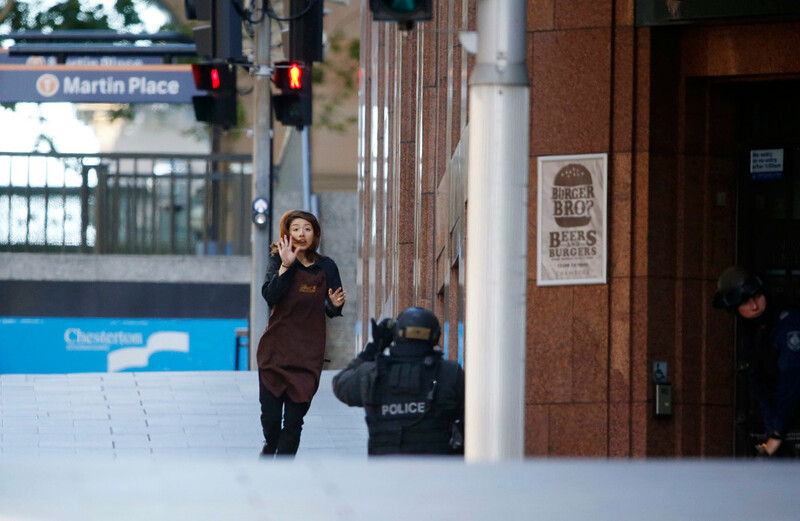 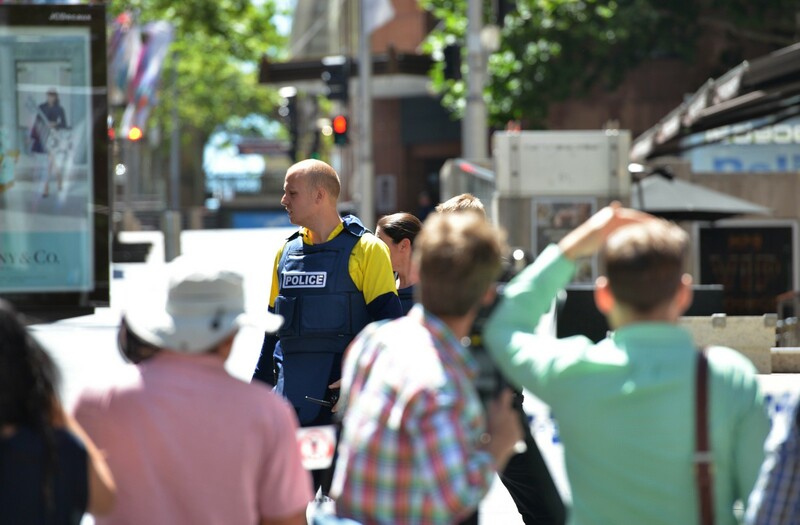 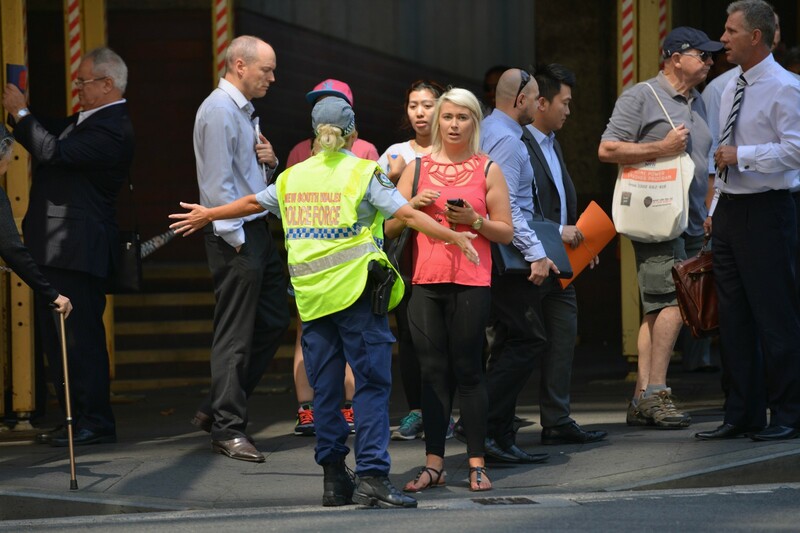 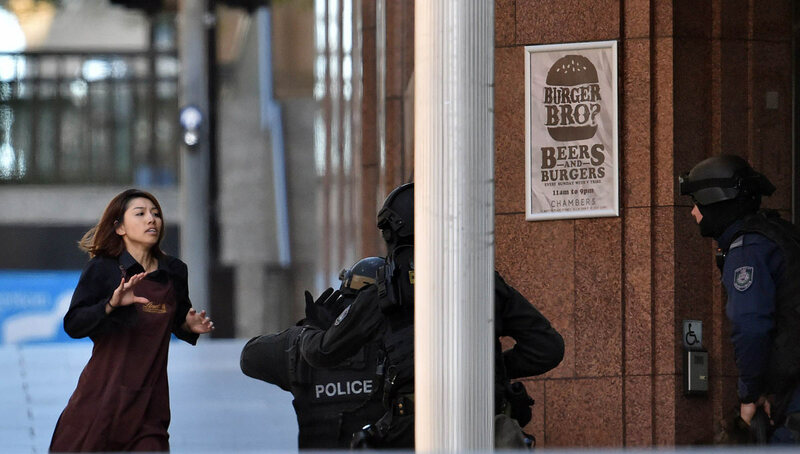 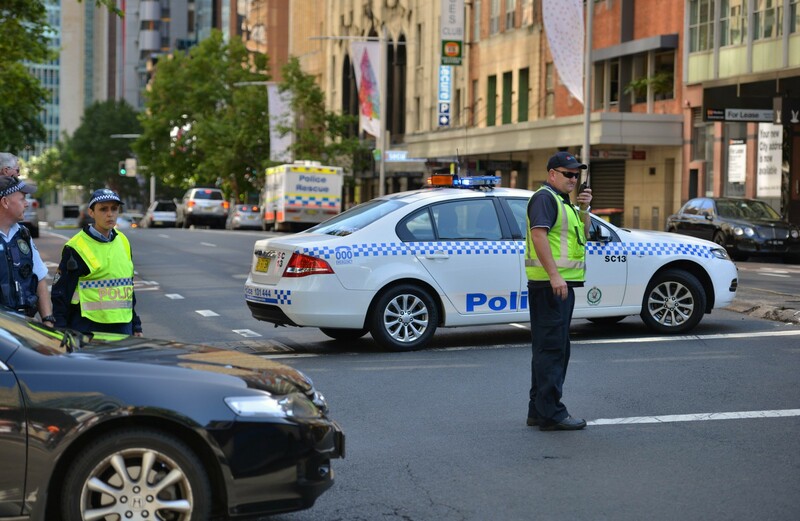 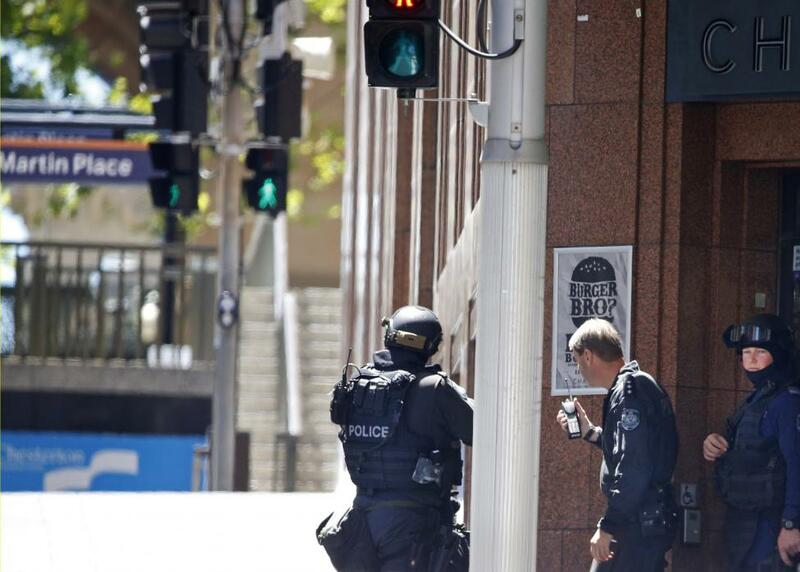 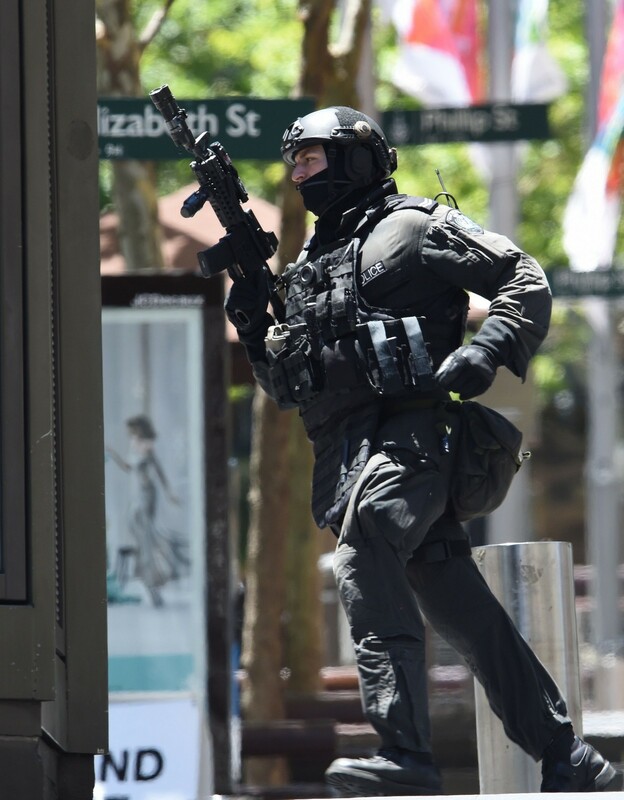 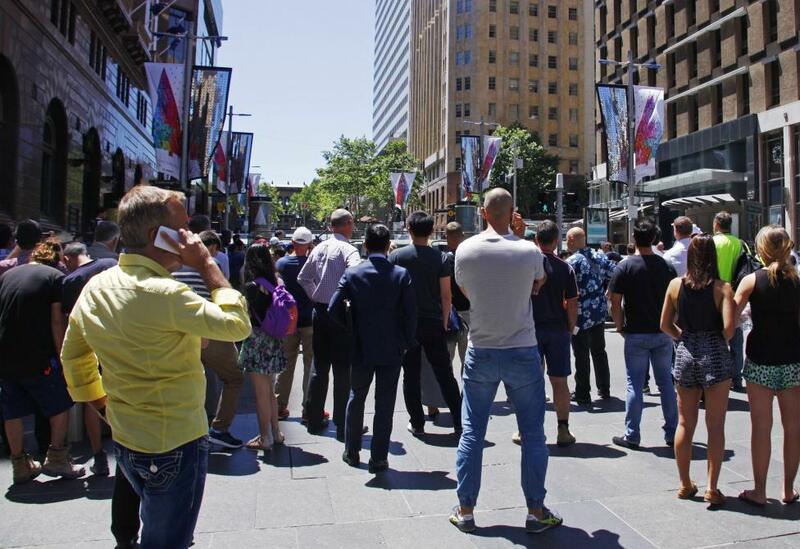 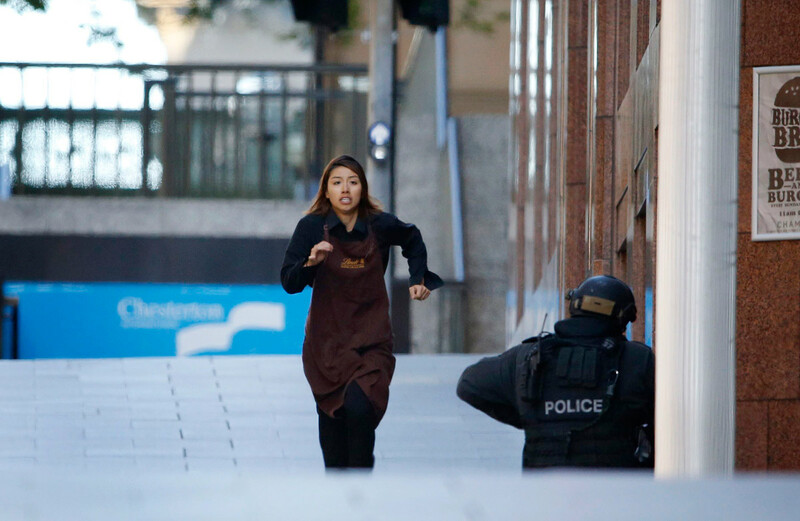 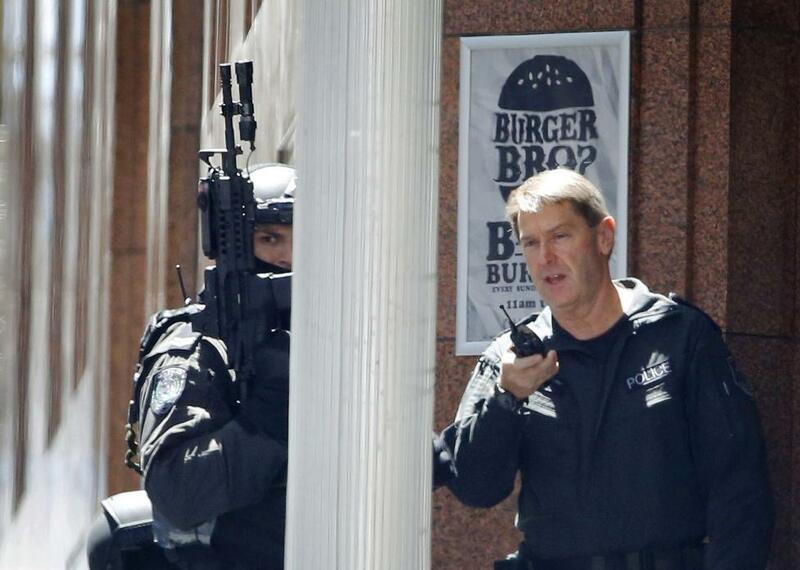 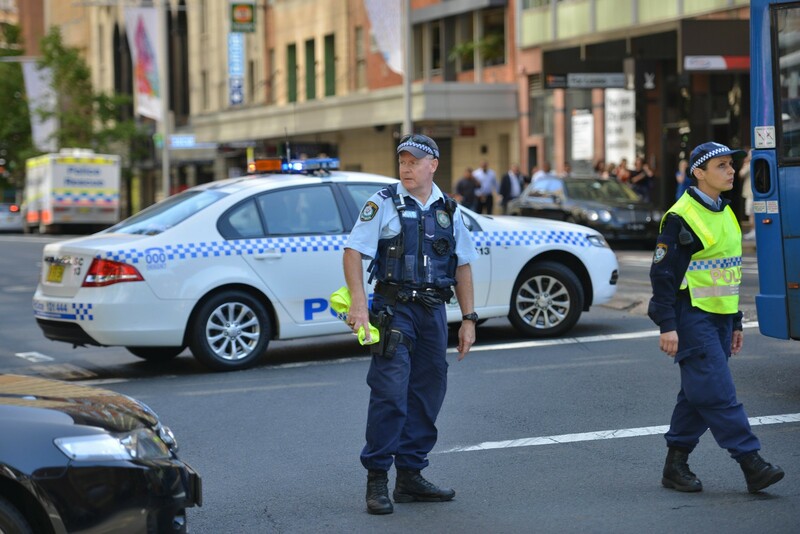 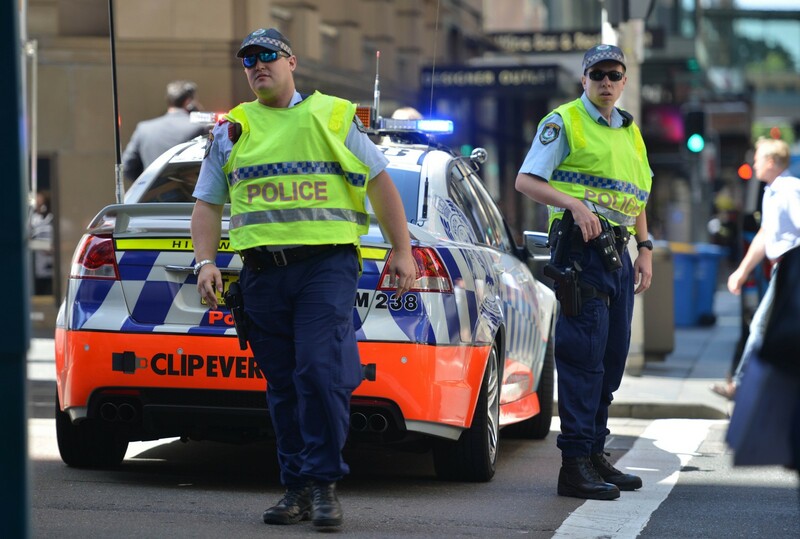 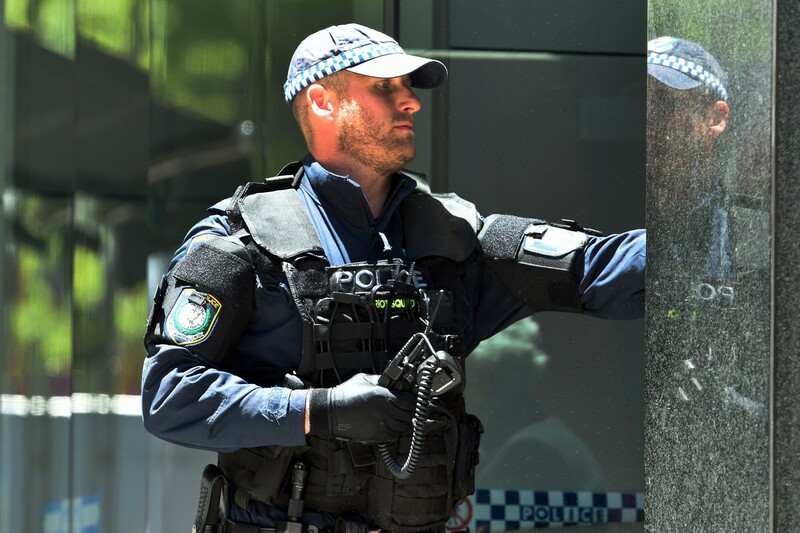 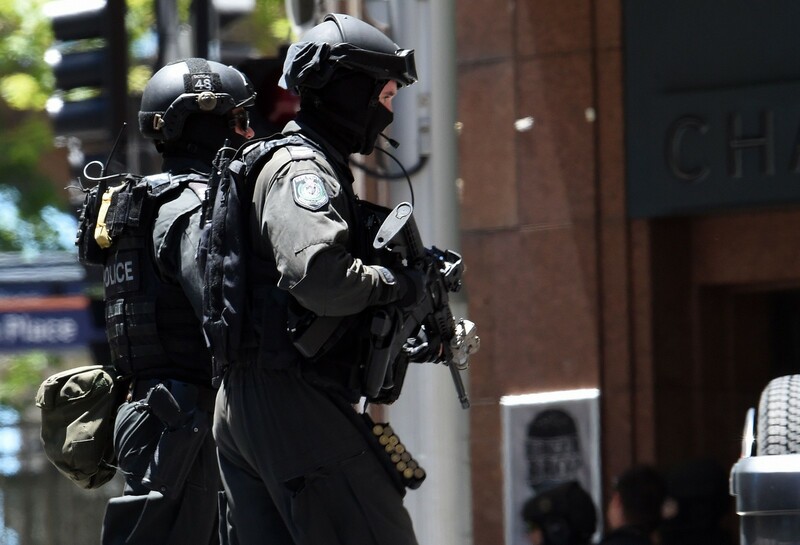 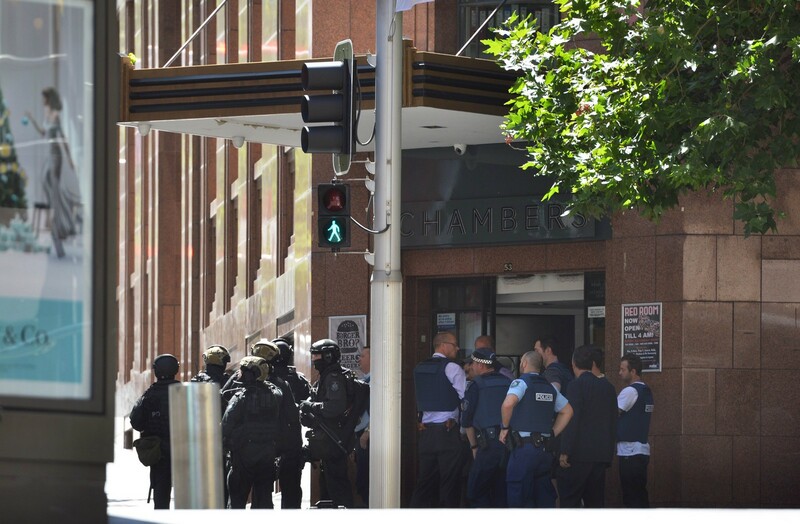 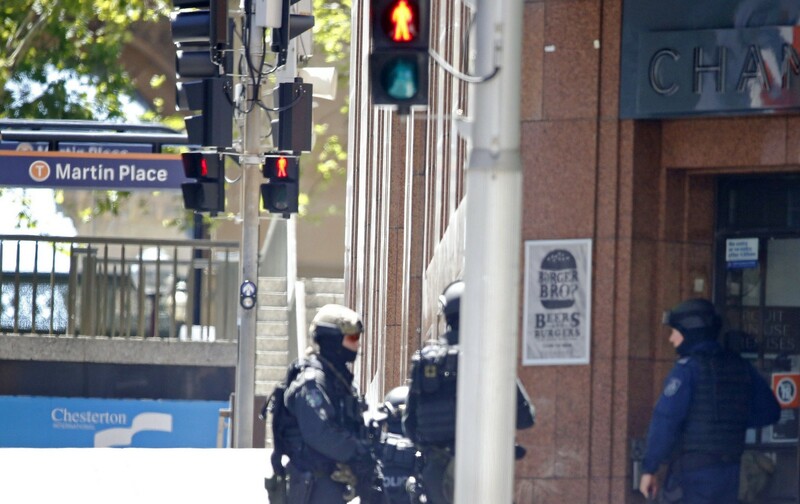 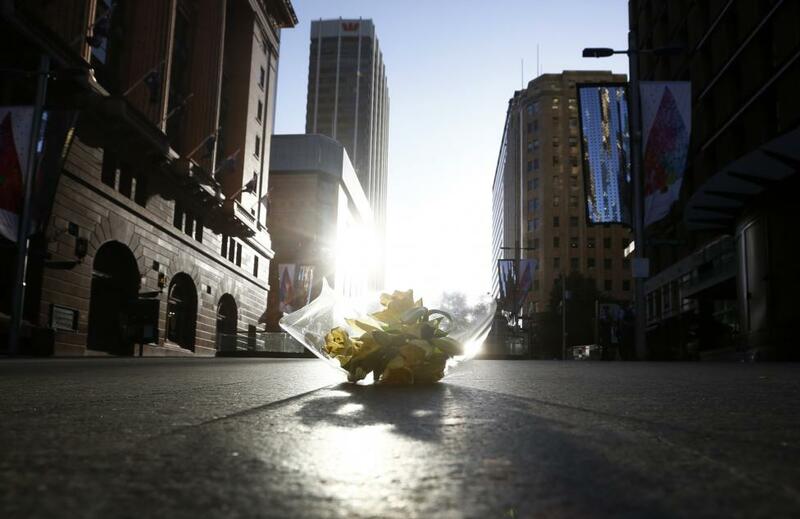 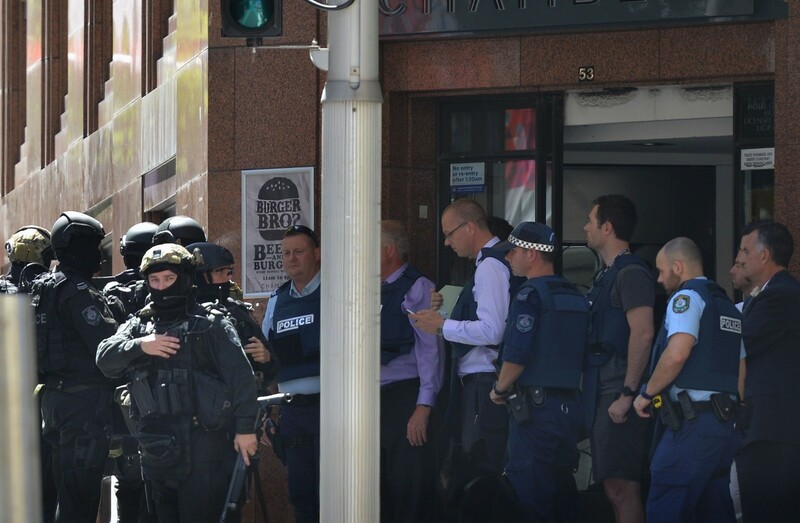 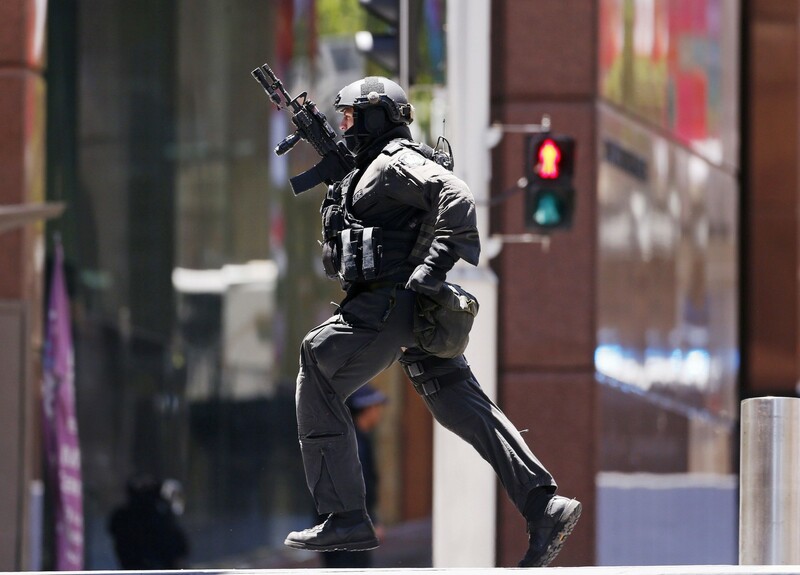 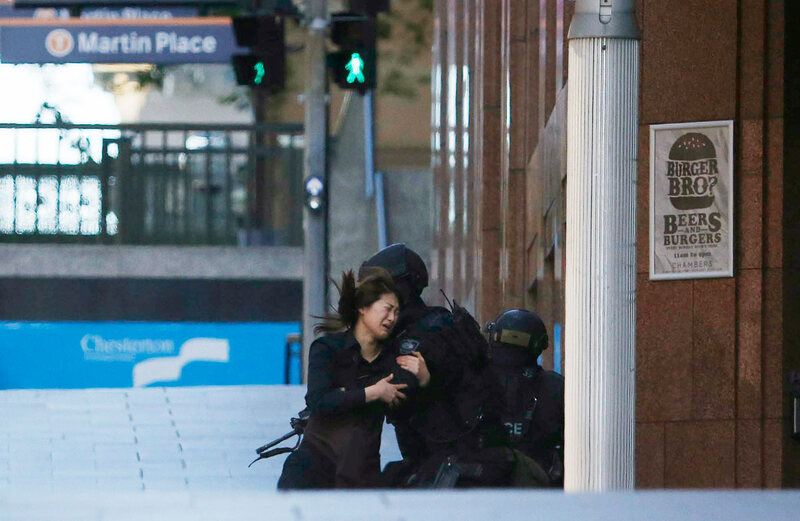 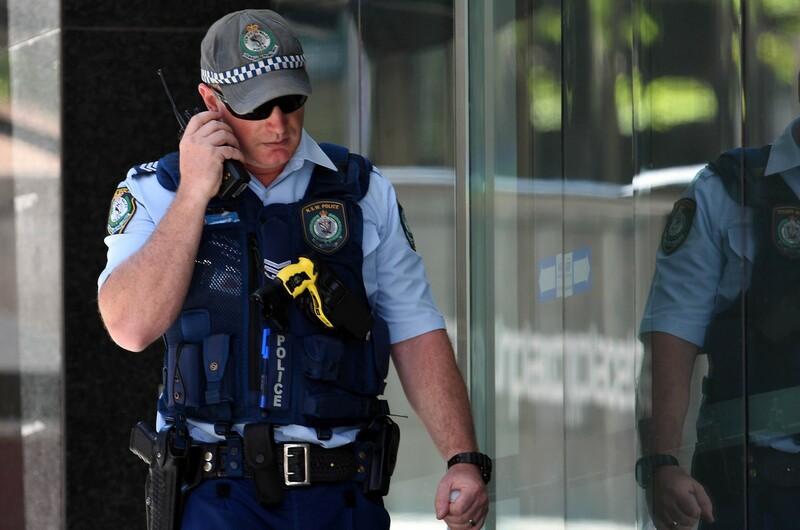 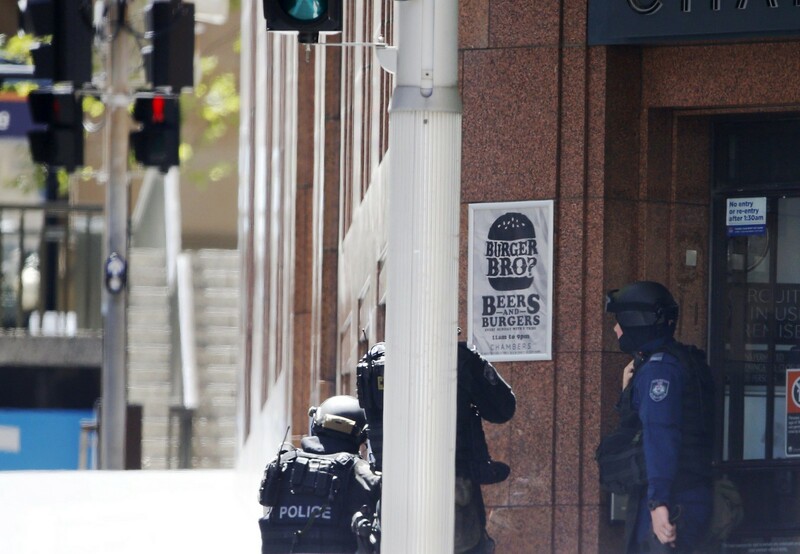 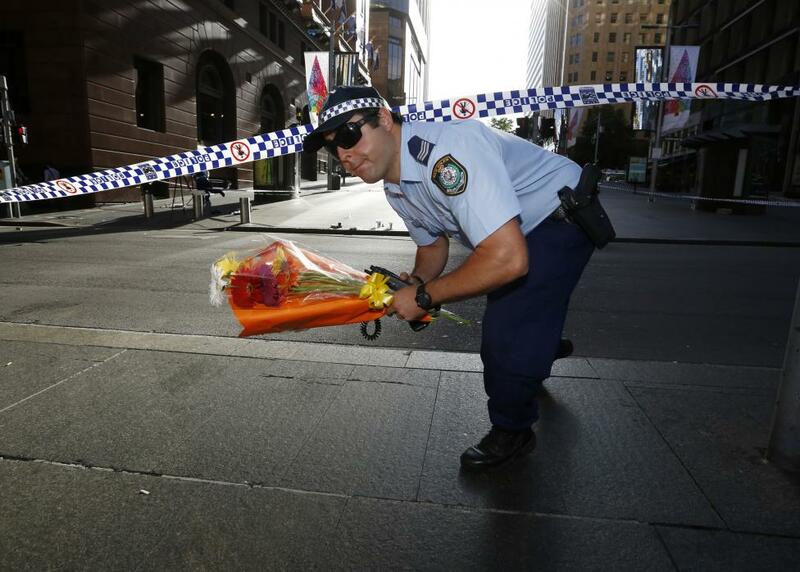 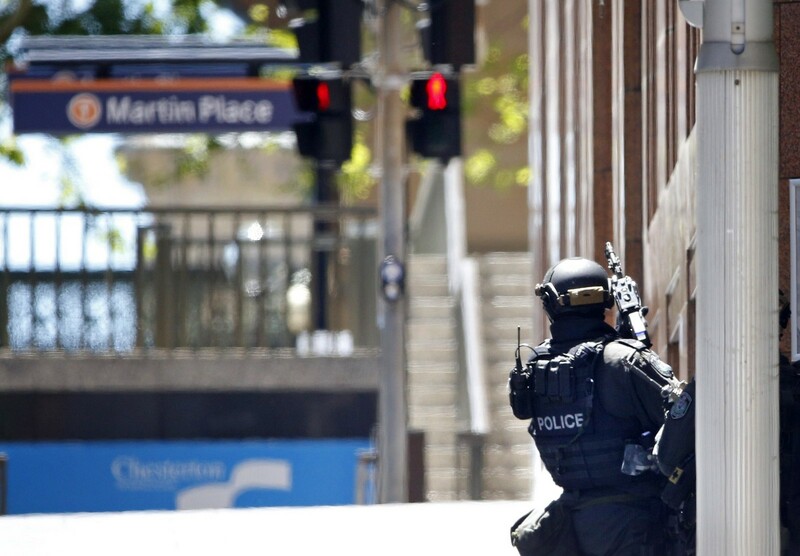 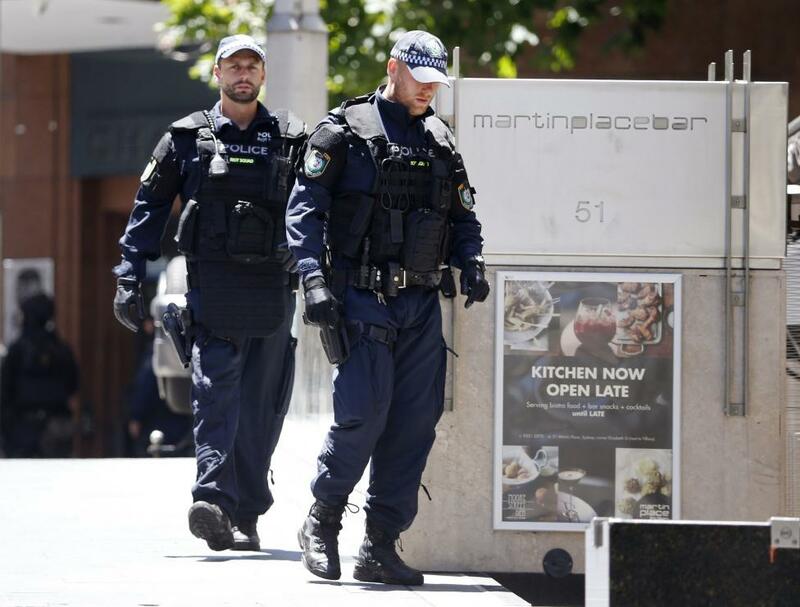 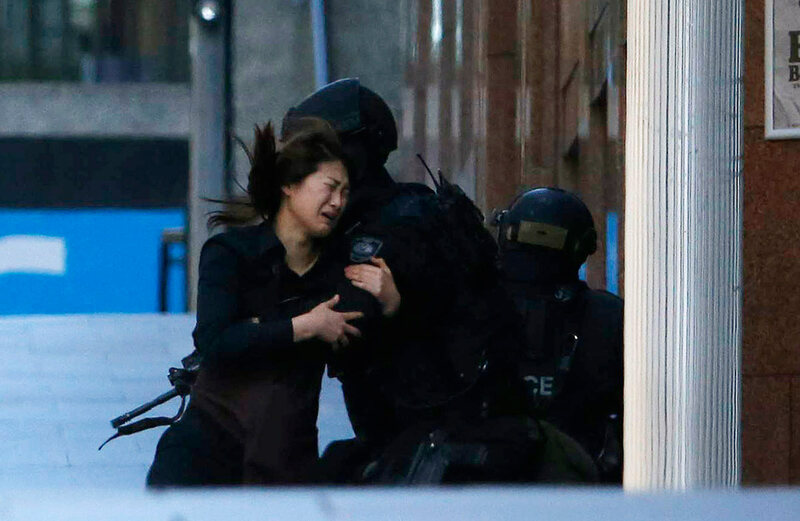 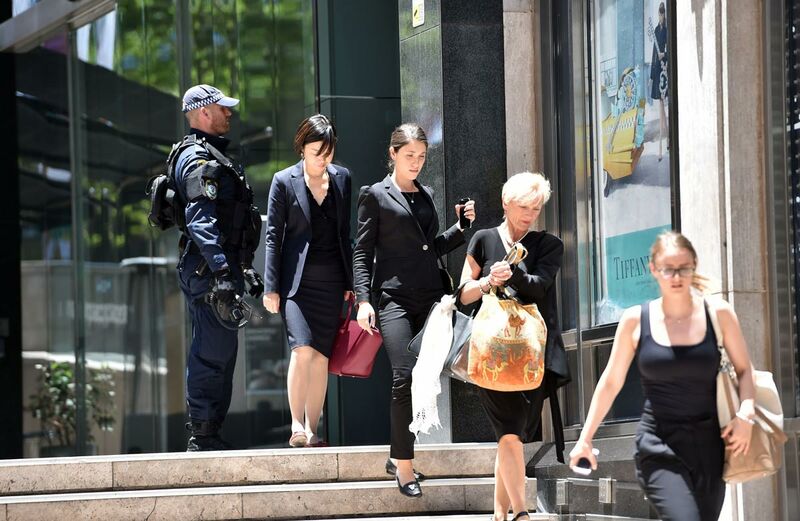 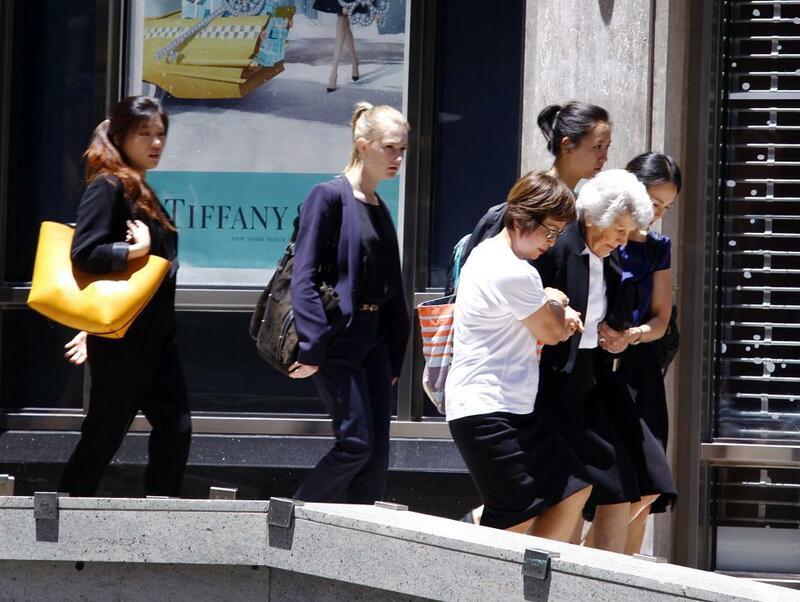 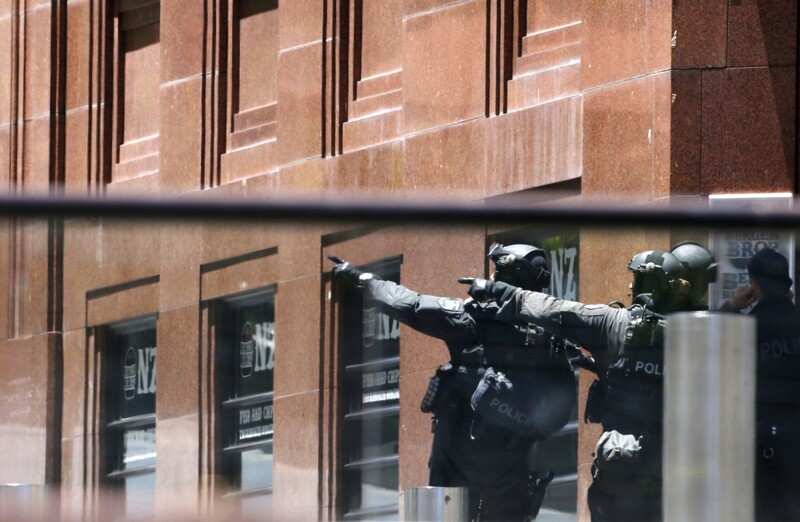 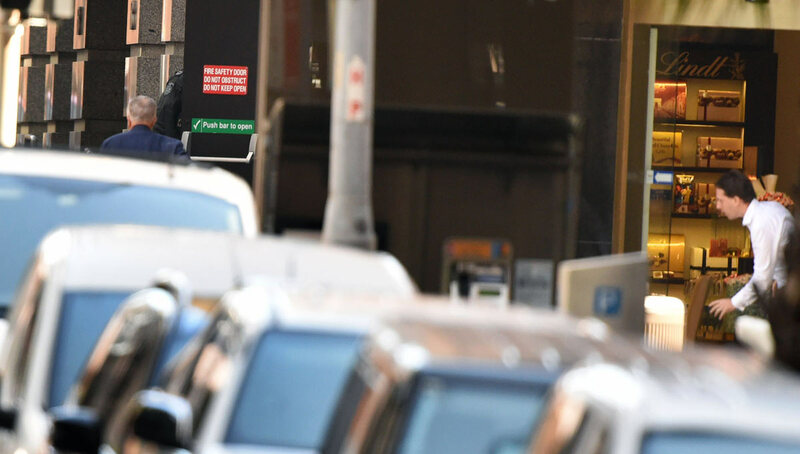 In the biggest security operation in Sydney since a bombing at the Hilton Hotel killed two people in 1978, major banks closed their offices in the central business district and people were told to avoid the area.